It’s exciting to announce that Hawthorne & Heaney have worked with Kent and Curwen to produce beautiful embroidered badges for their new collection. Kent & Curwen, was first established in 1926, ‘two years after Eric Kent and Dorothy Curwen first crossed paths on Savile Row’. The company was described as a sports related gentlemen’s fashion brand that first began as a manufacturer of military, club, and college repp ties. In 1972, K&C had a defining moment when they produced kits for both England and Australia in the Ashes. 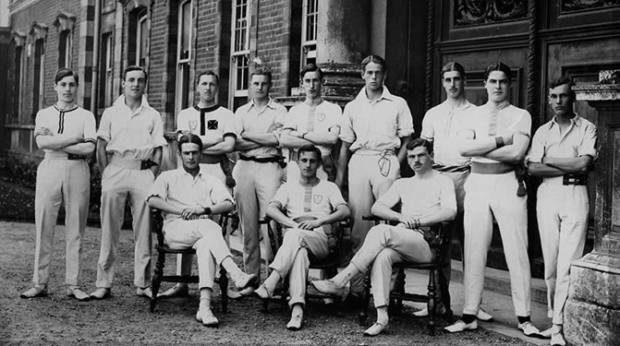 The relationship with The England team lasted for well over ’20 years, supplying knits and caps well into the Nineties’. As of recent, David Beckham has joined Kent and Curwen in a partnership, acting as a brand ambassador and to us he is the perfect fit – ‘a true gentleman, celebrated for his fashion style and the British sports hero of his generation’. Working with creative director Daniel Kearns, they have both created a collection ‘of everything a man would want to wear right now’. 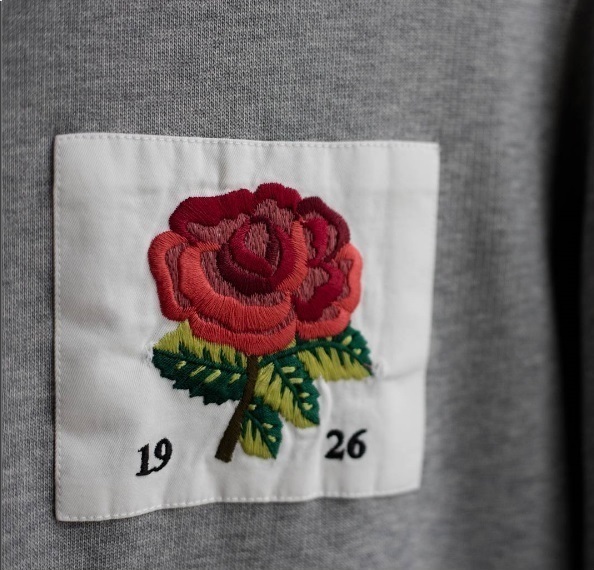 From ‘sun-faded rugby shirts, classic outerwear to English heritage knits.’ Most of these products bears a badge that reflects the heritage of Kent & Curwen – the Three Lions and the English Rose. These embroidered badges are both long held symbols of the brand and we at Hawthorne & Heaney are delighted at the way they turned out! 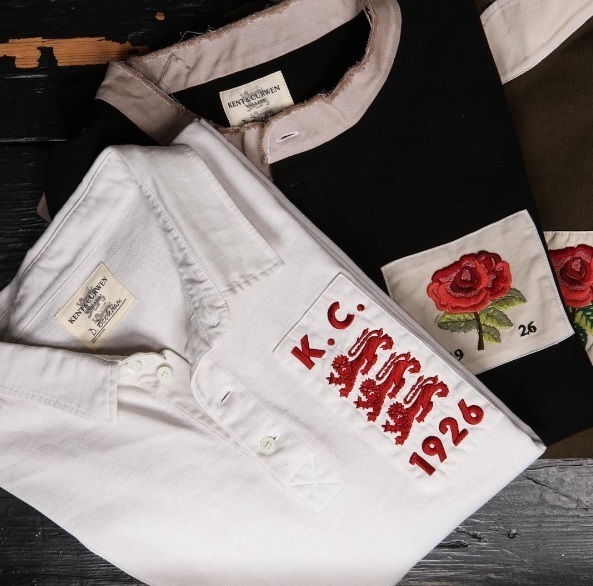 Kent & Curwen launched this collection as part of London Fashion Week Mens and in an interview with WWD, Kearns expressed that this collection aims to appeal to a new British generation. 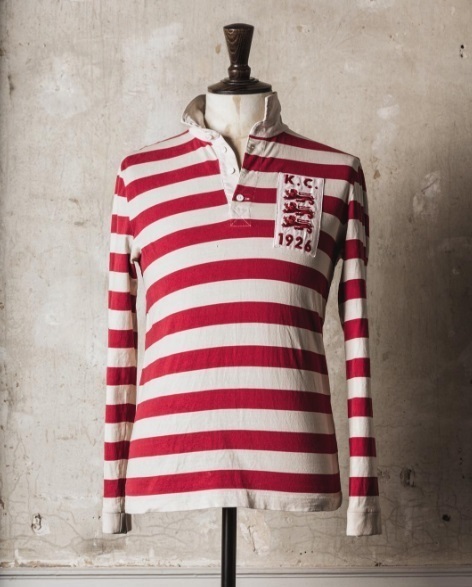 The collection is now on selling on the Kent & Curwen’s website and Mr Porter so check it out to get your hands on it. Kent and Curwen are seriously embarking on a new chapter in their rich history and we are so excited to be part of that.